The 2018 monarch field season officially came to an end on November 7th. 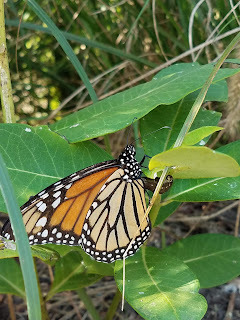 Traditionally, the censusing ends on October 31st, but because of some late pushes of monarchs last season we extended the censusing another week. We decided to extend the season again this year with the hopes of continuing in future years, as peak migration days have been getting later and later each year. 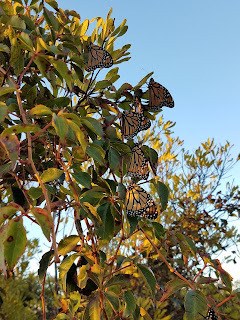 Monarchs roosting the evening of October 14h. 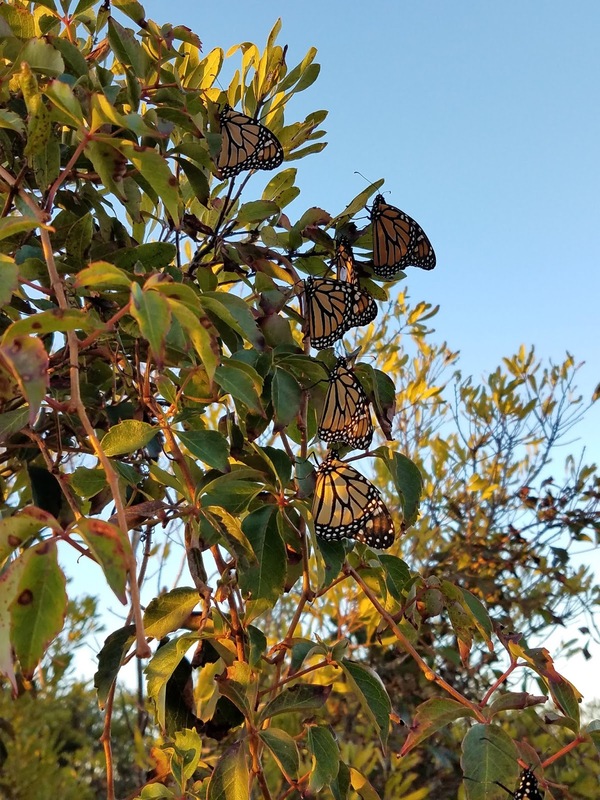 The peak migration day was October 3rd, where Lindsey counted 271 monarchs on the three censuses that day (271 monarchs per hour)! 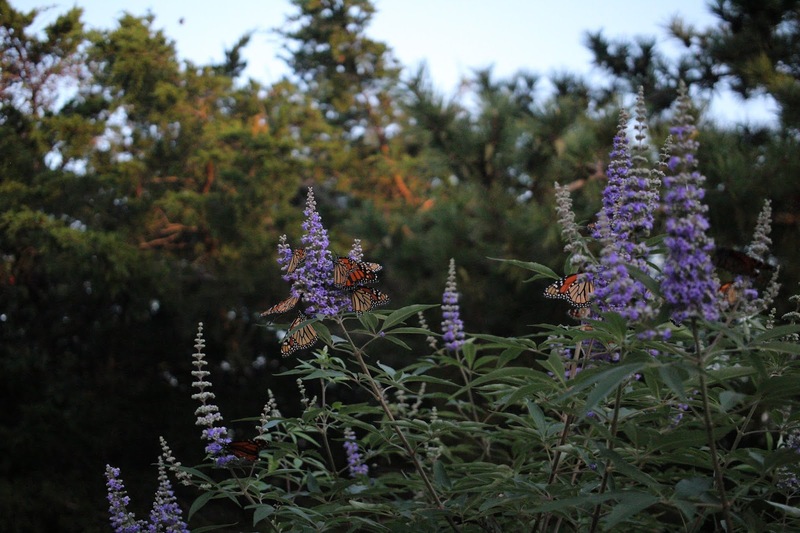 The peak migration week averaged 137.41 monarchs per hour and was September 29th through October 5th. We reared 75 monarchs at our live caterpillar display at the Northwood Center this season. 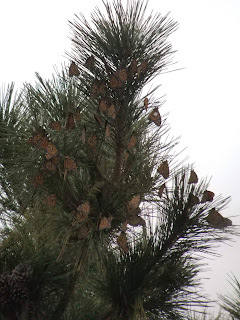 The best roosts spotted were October 13th and 14th, with the biggest clusters being over 50 monarchs. The total monarchs tagged by everyone in the project was over 4,300! Despite some below average monarch numbers, the season was still quite a success. 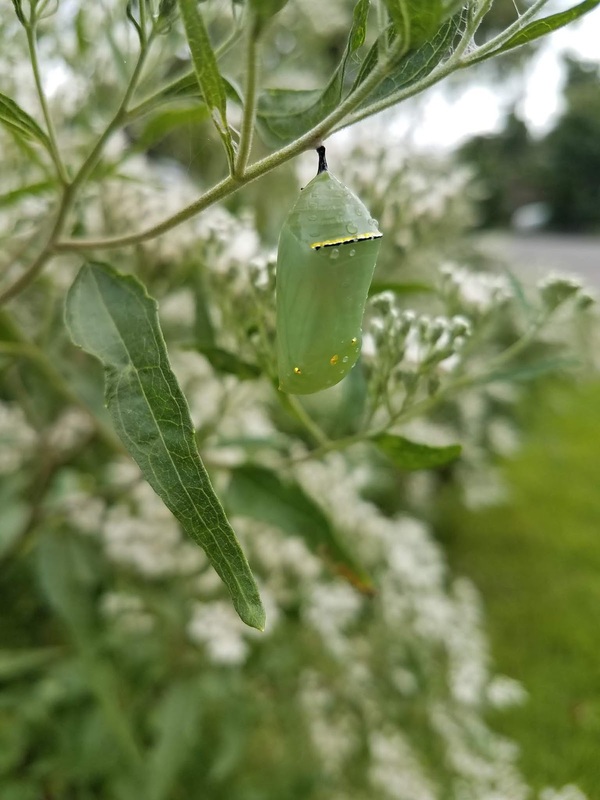 We reached thousands of people with the message of monarch conservation through both State Park demos and informal meetings with passersby in the street while tagging monarchs. 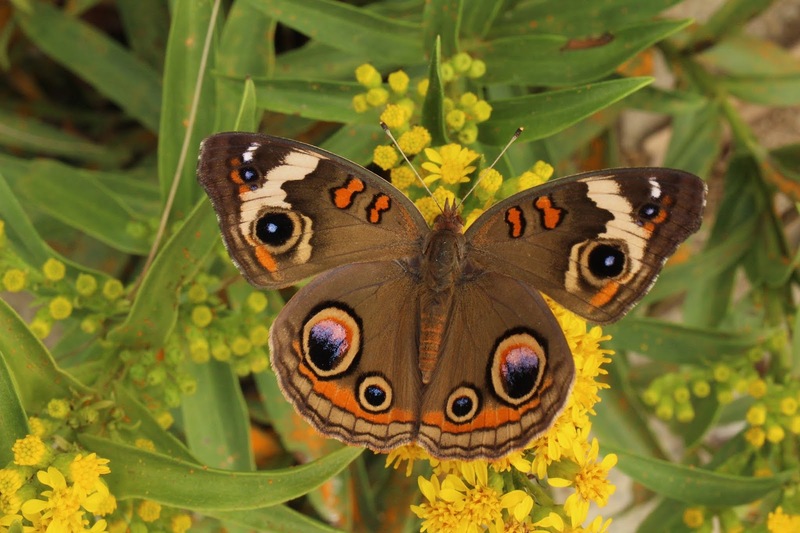 Peak days brought monarch-covered goldenrod on sunny afternoons, and roosts in the pitch pines in the evenings. In addition to monarchs, there were amazing migration days of American Kestrels, Common Buckeyes, various dragonflies, Saw-Whet Owls, and many other species. 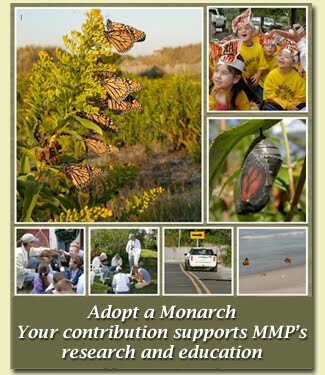 We want to thank all of our volunteers, everyone involved with the project, all of those who attended our tagging demos and other events, the folks we met while out in the field who inquired about our work, the readers of the blog, as well as anyone and everyone who has a passion for helping conserve the wondrous little migrant that is the monarch butterfly. It has been a wonderful fall season here in Cape May, and we are looking forward to hearing the reports from Mexico this winter with hopes of Cape May recoveries!